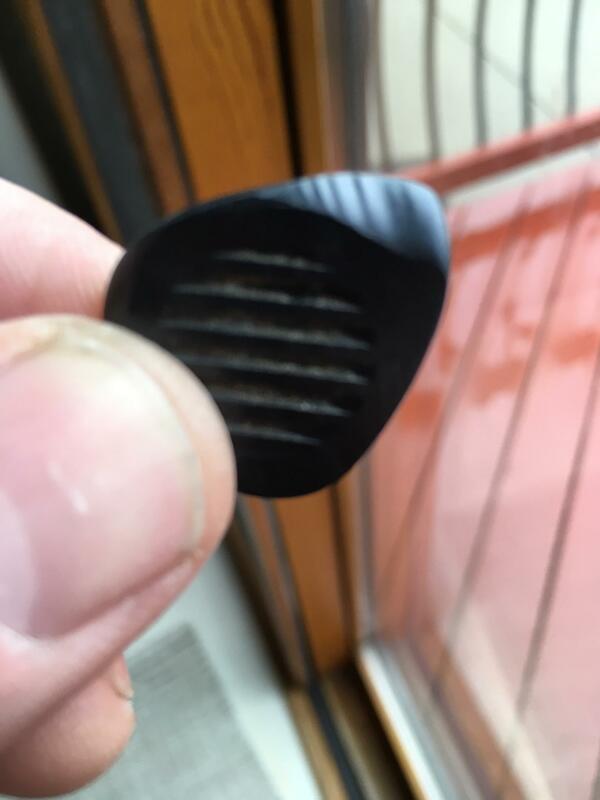 I don’t know if anybody else has had this problem but I find myself wearing the grooves into my picks to the point where the picks begin to feel like they are sticking to the string, the string is catching on the grooves. 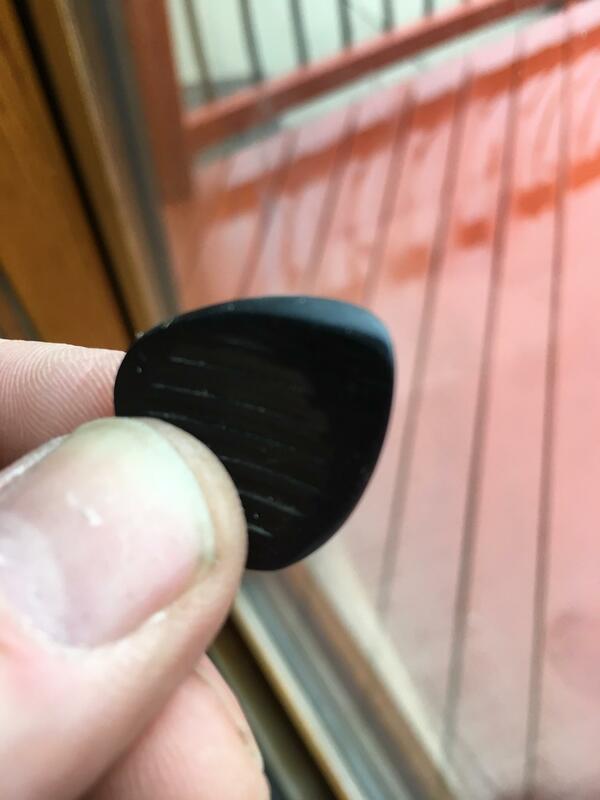 It’s from playing too hard, and I’m gradually getting past this, but I’ve made the mistake lately of using my Manouche pick on some funk and klezmer gigs and damaging it. 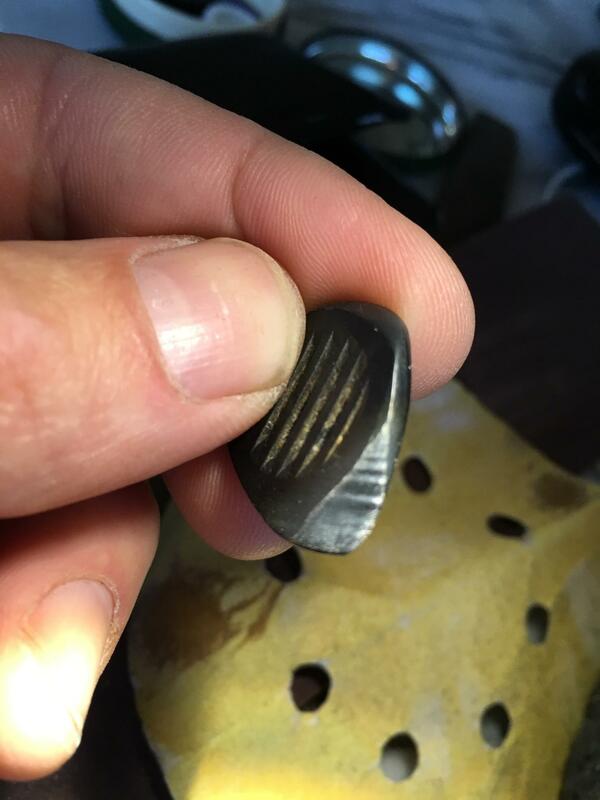 In the past when the picks got too “sticky” I’d buy some new ones but this morning I sat down with some sandpaper and steel wool and was able to resurface 5 Wegen and 2 Manouche picks. I started with 120, then 220, then fine grade steel wool (maybe 600, not sure) to polish them. 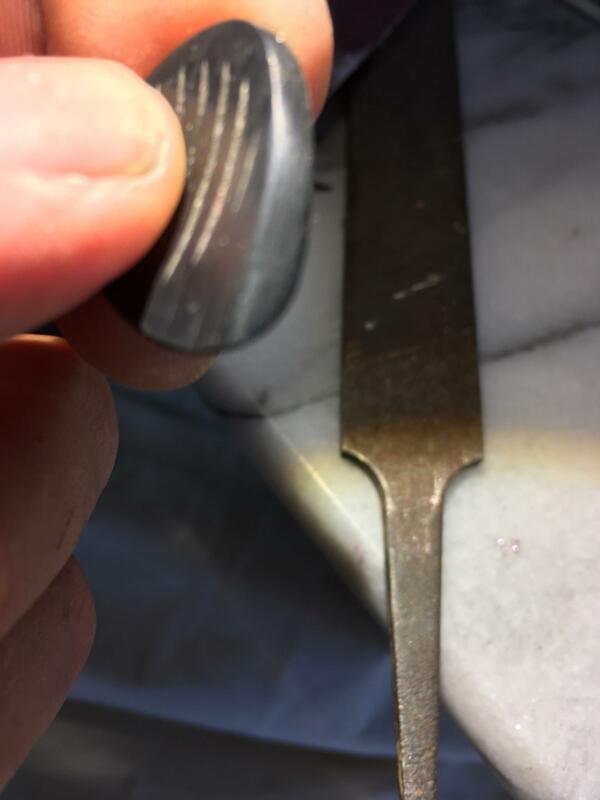 No power tools were used, you probably could but my concern was to preserve the bevel and not reshape the pick, especially the tip. 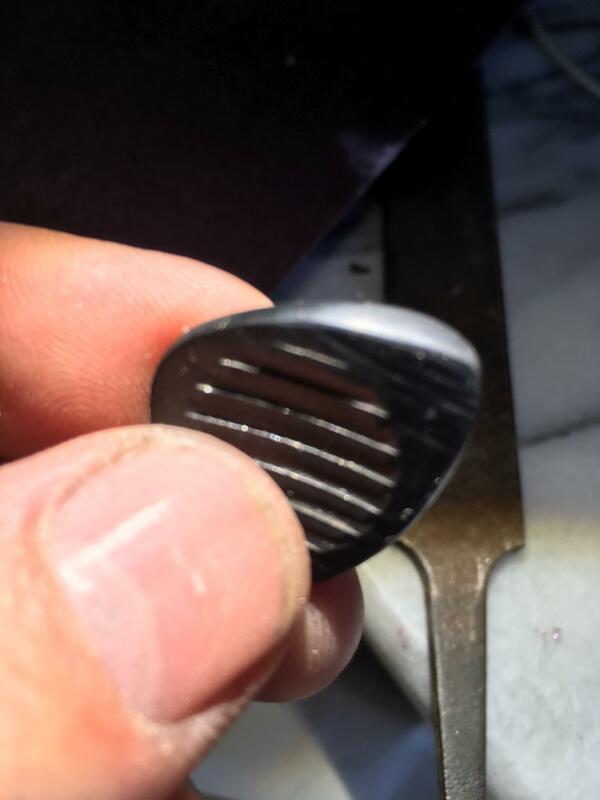 Wegens are harder than Manouche picks, which required very little 120. I resurfaced 7 picks in about an hour 45 minutes. I’ll post some pictures below. Would a Dremel tool and the appropriate attachments make quick work of this job? Anyone try this? I’ve got a couple of Manouche picks I’d like to work on. I've tried Dremels and, personally speaking, found them too hard to control. Might have worked better if the Dremel had been bolted down. I prefer a file and then a cheap nail file, buffing and polishing tool which you can buy from a chemist.